If you are looking for the best Photography themes to install on your WordPress website or blog, you no longer need to look anywhere else since everything you need is right here. This article lists the best WordPress Photography themes available for you to choose from. 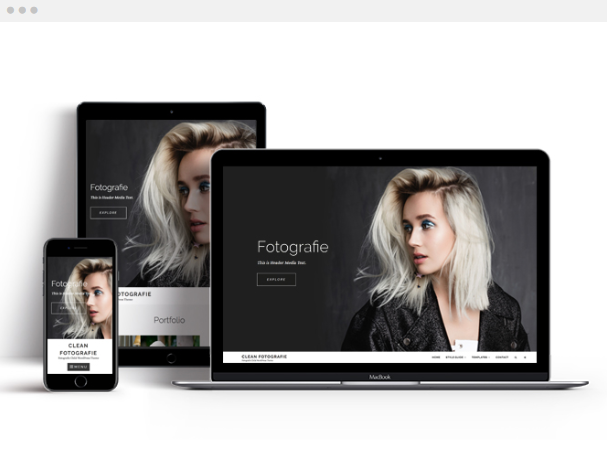 This beautiful WordPress photography theme is a perfect choice for photobloggers, professional photographers, and people who love photography as a hobby. This theme comes with a neat featured section including header image and header content which you can control yourself. This theme’s header area lets you have all the power to decide what to display or hide from the header and footer text includes your own copyright text and social icons. The infinite theme offers you great layout control and the option to change colors of your theme in just a single click. This responsive theme shows compatibility to all the major browsers and enables great social media integration. 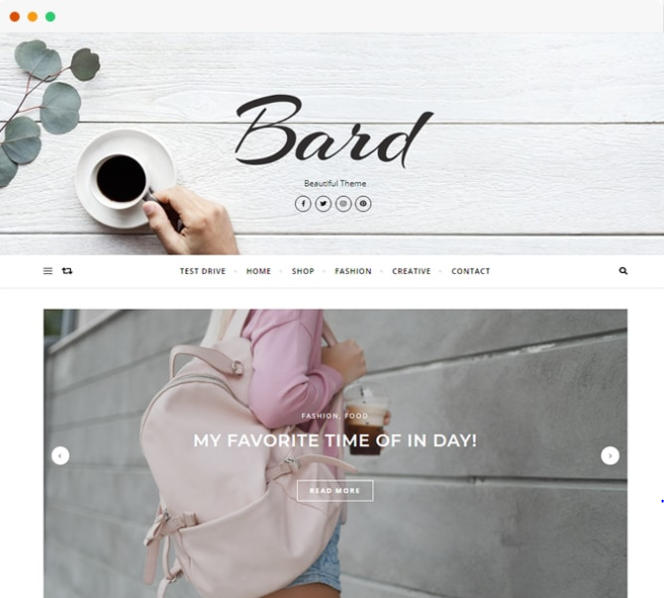 Bard is the perfect personal and multi-Author WordPress theme for photography blogs. 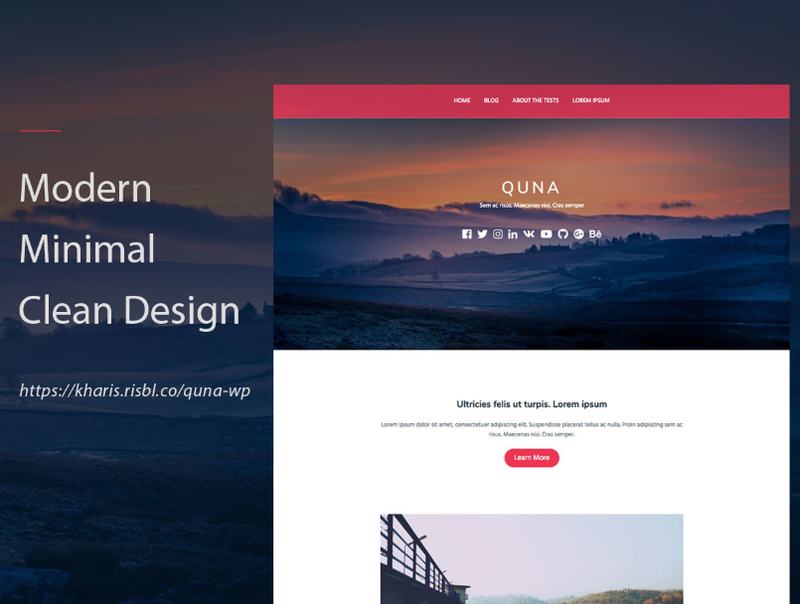 This fully-responsive and retina ready theme offers you unlimited choices of colors for the customization of your blog’s Header, Content, and Footer sections separately. Besides that, you can also avail great typography on your website by choosing from over 800 Google fonts. Since this theme comes with a number of beautiful demos you can set up a blog in no time by importing the same content shown on the demo with a single click. Its featured slider displays up to five most recent blog posts in the header area in order to catch your visitors’ attention. Post sharing options, Promo boxes, advanced post options (Custom Post Header image upload, Full-width Post option, ability to display current post in the Featured Slider, etc), advanced page options ( Custom Page Header image, Full-width page option, enable/disable Featured Slider & Featured Links on the current page, Show/hide page Title & Featured Image), etc are additional benefits of choosing this theme. fPhotography is a great WordPress theme you can choose for your photography blog or website. This fully responsive theme offers over 100 customizer options along with a built-in slider. Custom page templates that come with this theme makes it easy to create your blog/website. You can choose from both wide and boxed layout options for your theme. More than 10 widget areas are available with this theme. Landing page templates, built-in breadcrumb & lightbox, bbPress integration, etc are a great addition to its features. Since all the functionalities are built into the theme you do not have to use any additional plugins for this theme to work properly. Knight is an awesome WordPress theme for starting a photography website or blog. It allows you to choose from two different layout options (Fullwidth Layout and Boxed layout). Knight theme is compatible with the Elementor page builder plugin thereby making it easy to customize this theme. This theme allows you to choose from a wide variety of color options and provides you with Instagram fields, theme credit link, preloader options, social profile options, social share, Google Adsense, footer widgets and more. Neptune Portfolio is a free WordPress theme suitable for your Photography website/blog. It comes with a standard four column grid supported by masonry. This fully responsive theme provides support to multiple languages. 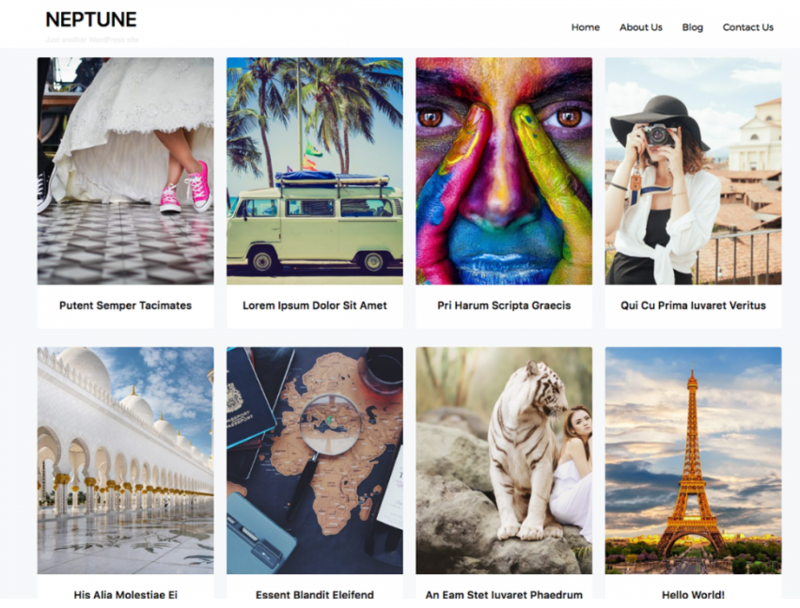 Futurio is a feature-rich WordPress theme you can use to build awesome looking photography websites or blogs. This theme allows you to create unlimited blog layouts with the Elementor page builder. Its one-click demo import feature provided by this plugin gives you a head start on building your photography website. Futurio gives support for multiple page builders. You can create a custom header, footer and a custom 404 page with this plugin. Futurio offers many other great functionalities like custom widgets, menu layouts, Ajax product search, site preloader, sticky menu, custom backgrounds, custom content width, post & page layouts and more. This exclusive WordPress photography theme comes with a huge collection of customization features lets you build a website that is as unique as you prefer. Thus with Clean Fotografie you neither require any programming skills nor designing. The theme options allow you to toggle on and off features, adjust layouts, change colors, fonts, logo, favicon, background, add social links and custom CSS and more. This theme comes with a featured content section using which you can highlight your recent and popular post on your website. You can choose to display it either on the Home page or on your entire site. You can also add to it a title and sub-title, select the number of featured content, display Meta, select multiple categories, etc. In addition to the feature content, there is a “Hero content” section as well, which allows you to highlight the most important content in a very captivating and attention-grabbing style on your site. This WordPress theme offers great support for the Gutenberg editor. Its powerful social media icons make the sharing of content super-easy for you. One-click demo import is supported by this theme for building websites in no time. Narrow width entry content area and five columns footer widgets area provided by this theme add to your website’s beauty. 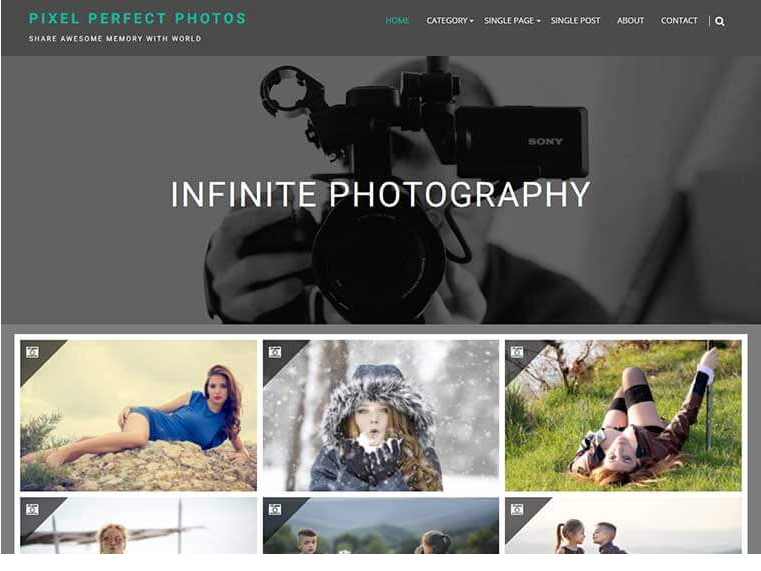 This lightweight WordPress theme fulfills your dream of an amazing photography website or blog. You can have multiple layouts on your website by using this theme on your site. Customization of this theme is a breeze with its set of unlimited color scheme, Google font options, Footer credit, etc. Its multiple layout options include three different header layout options, slider options, featured blog options, blog layouts (full width, layout with left/right sidebar, etc). Its powerful Advertisement management feature lets you to easily insert and manage ads for your website. The Inbuild Ad Blocker Detector that comes with this theme will help you make revenue from your website via Google ads and other advertisement channels. 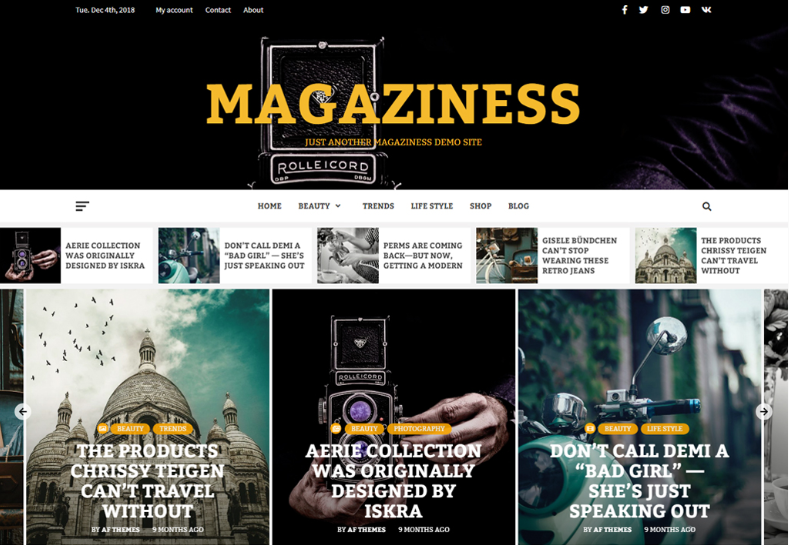 Magazines is a feature-rich theme you can rely on for creating a jaw-dropping website/blog for photography. It comes with a live editing customizer, different typography styles, and unlimited colors along with multiple header options, all of which together help you build your dream site. It comes with full-width page options and over 10 custom widgets including image slider widget, video slider widget, product category widget, etc. With this theme, you can avail Instagram slider, Mailchimp subscription support, display of related posts, etc. A photography website or blog’s major component would be photos of different size and looks. Thus, arranging them in an eye-catching way is necessary to attract visitors. Hope this article will help you in choosing a theme which does that for your website.